A RESORT FOR NATURE LOVERS. BEST HOTEL GARDEN AWARD WINNER. Located behind Madhusagar about 1 km from the market. 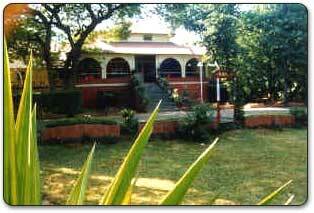 Air-conditioned & NON AC cottage type rooms with CCTV, Channeled music. Variety of indoor/ outdoor games. 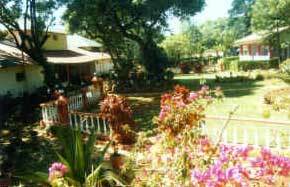 Beautiful children's park & landscaped lush lawn. Restaurant serving Veg & Non veg authentic Punjabi meals. Rs.300 WILL BE CHARGED EXTRA PER DAY FOR A.C. 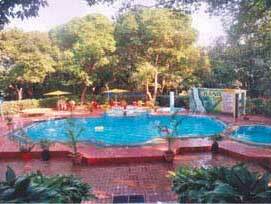 E.P.--Rs.125/- per Adult & Rs.75/- per child will be deducted on above tariff. Checkout time 9.00 a.m & Checkin time 10.00 a.m. Room will be alloted as per availability.